Interlacing has never looked as intriguing as in this criss-cross ring. Diamond dotted 14kt yellow gold lines take shape around your finger in a continuous line of luxury. 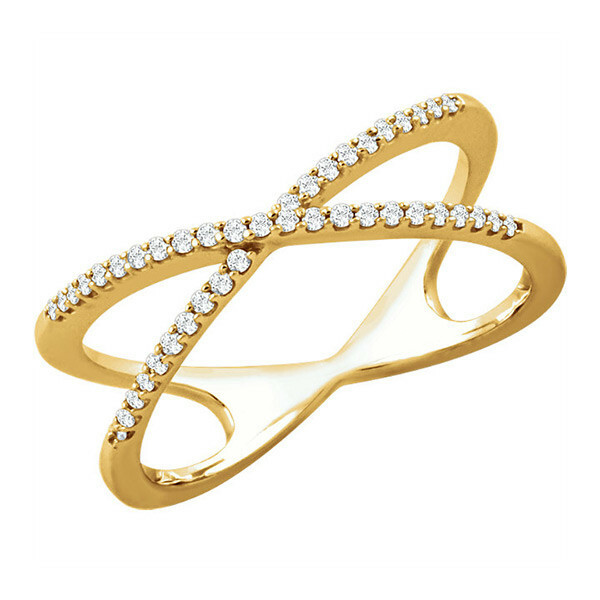 The gold and diamond ring marks the spot where style and beauty intersect!